It is often not easy to clean electronic devices and small mechanical parts. One reason for this is that the locations to be cleaned are difficult to access. In addition to this, technical and electronic devices are prone to damage by direct contact, and compared to more resistant parts and surfaces, they are more sensitive to cleaners. How to clean your laptop computer, measuring devices, clocks or contacts? 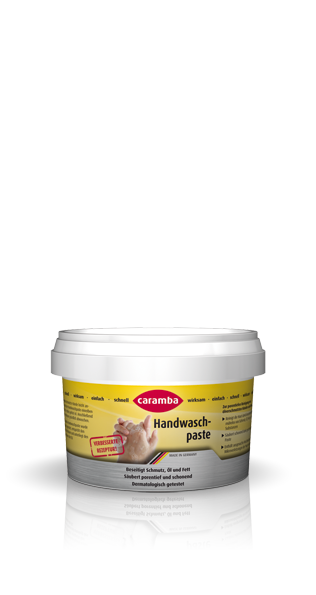 It’s very simple with Caramba’s compressed air spray. This dry pressurized gas simply blows off dust and even more stubborn dirt, is easy to use and of course compatible to the environment and free of solvents and CFCs. Electronic and mechanical devices are always part of every neat home or workshop. Cleaning these devices is often neglected because many people do not know which cleaners are allowed for cleaning this kind of equipment. A dusty computer, for example, should rather not be cleaned with moisture as many contacts and boards are exposed within the housing and might be damaged. The same applies to mechanical parts where each rash direct contact with a rag can bring the sophisticated interplay of the parts out of order, for example, in clocks or in a panel for measurements. In these cases, a cleaning with compressed air is better. Caramba’s compressed air spray is a great solution for this. Pure and cold compressed air supersedes cleaning cloths, sponge and cleaning solution. Our compressed air spray can be used very easily and flexibly. Always disconnect the mains plug before cleaning electronic devices. Simply spray compressed air on the area to be cleaned. Use the supplied spray tubes for difficult to access areas. It is recommended to spray in intervals. Otherwise, the product noticeably cools down and loses pressure. In such a case, allow the can to warm up to room temperature for a short time. Please do not shake the can during the spraying operation. Otherwise, very cold liquid may escape. Attention! Our compressed air spray is flammable. Keep it away from ignition sources and keep the treated devices sufficiently ventilated before reconnecting them to the electric power.